Keep track of tools more efficiently. Facility managers need to keep track of tools, both large and small. Stenciling has been a common and effective way to label bigger equipment like forklifts or bulldozers. While stenciling has its merits, other inventory management tools like equipment labeling and asset tagging are becoming more popular in recent years. The biggest reason for this shift is lifespan. Stencils fade, chip, and become unreadable due to rain, sun, and normal wear and tear. Equipment labeling and asset tagging use tough, vinyl materials, which have longer lives. Check out our equipment labeling guide for a deeper dive into the pros and cons of stenciling. 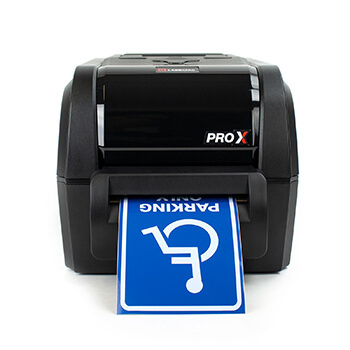 Ditch stencil tagging for a LabelTac® printer.